Teleoperation allows humans to reach environments that would otherwise be too difficult or dangerous. The distance between the human operator and remote robot introduces a number of issues that can negatively impact system performance including degraded and delayed information exchange between the robot and human. Some operation scenarios and environments can tolerate these degraded conditions, while others cannot. However, little work has been done to investigate how factors such as communication delay, automation, and environment characteristics interact to affect teleoperation system performance. 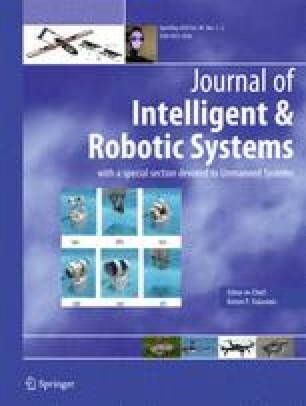 This paper presents results from a user study analyzing the effects of teleoperation factors including communication delay, autonomous assistance, and environment layout on user performance. A mobile robot driving task is considered in which subjects drive a robot to a goal location around obstacles as quickly (minimize time) and safely (avoid collisions) as possible. An environment difficulty index (ID) is defined in the paper and is shown to be able to predict the average time it takes for the human to drive the robot to a goal location with different obstacle configurations. The ID is also shown to predict the path chosen by the human better than travel time along that path. This research was supported by the Automotive Research Center at the University of Michigan, with funding from government contract DoD-DoA W56HZV-14-2-0001 through the US Army Tank Automotive Research, Development, and Engineering Center. The authors would like to thank Dave Daniszewski, Ben Haynes, Paul Muench, Mitch Rohde, and Steve Rohde for helpful discussions. Additionally, we thank Kevin Chen for his assistance developing the robot environment.